The idea of dolls coming to life has always creeped me out. When I was a kid, the thought that my sister’s dolls were just waiting for me to fall asleep so they could get up and walk around led to many nervous nights. I was young when Child’s Play came out in 1988 (I was actually about the same age as the little boy in the movie, Andy), so with my ingrained fear of dolls, it took me a while before I mustered the courage to watch the movie. Eventually I did, and I loved it. There were moments that scared me, but it was the good kind of scared that helped me to face my fears and start to deal with them. For that, Child’s Play holds a special place in my life. When you watch a movie when you’re young and it has a big impact, your memories about it can get skewed. After all, nostalgia is a powerful force. I’ve watched Child’s Play a number of times over the years, but it’s been a while since my last viewing, so I think a fresh viewing is required for me to give an opinion about it that isn’t clouded by nostalgia goggles. So, inspired by the announcement of Cult of Chucky, I recently decided to watch the entire series again, and I’m happy to say that Child’s Play does indeed stand up as a very effective and fun horror movie that deals with a ridiculous story in a serious manner. Its status as a genre classic is well-deserved for a number of reasons. Is it good, or is it just nostalgia? One reason I think the movie works so well is because of the story. At its heart, Child’s Play is a story about revenge from beyond the grave. 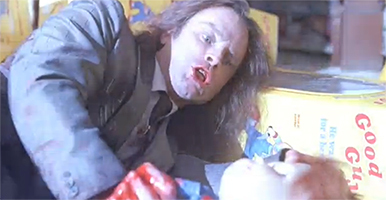 In the opening scene, serial killer Charles Lee Ray, played by genre icon and respected character actor Brad Dourif, is chased by police detective Mike Norris. Ray is shot while trying to flee through a toy store and knows he’s about to die. He vows to get revenge on Detective Norris, and in order to fulfill his vow he performs a ritual to transfer his soul into the only human-like thing he can get his hands on, a battery powered talking “Good Guy” doll. The doll winds up in the hands of a homeless man who sells it to Karen Barclay, a struggling single mother who is desperate to get a “Good Guy” for her six-year-old son Andy’s birthday. Andy loves his new friend, who introduces himself to Andy as Chucky, but it quickly becomes clear that Chucky isn’t as good of a friend to Andy as his mechanized smile and laugh would indicate. The story is, of course, fairly ridiculous, but the motivations of the characters are easy to understand and accept which helps to ground the movie in reality. Chucky wants revenge on the detective who shot him and his old accomplice who abandoned him, Andy wants a friend and is young enough to simply accept Chucky’s odd behavior, and everyone else acts realistically dubious when faced with the idea that a doll is stalking and murdering people. 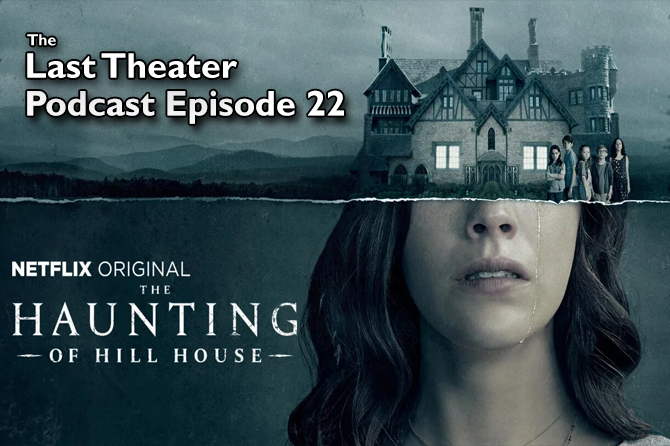 Since the characters are believable and well-acted all around, when the more fantastical elements of the story are gradually introduced, it makes the viewer more willing to accept them rather than balk or laugh. 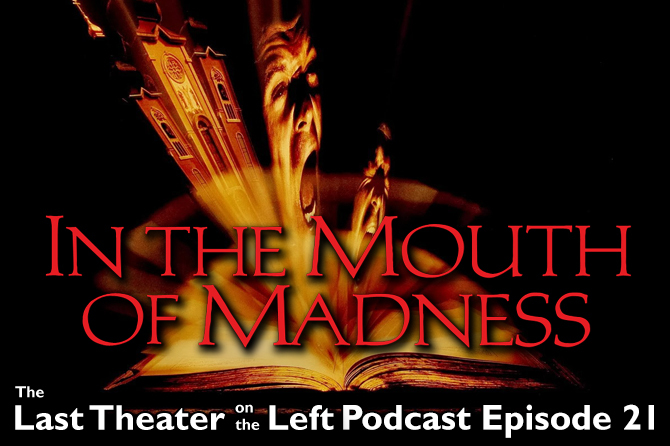 There is some levity here and there throughout the film, but this is not a horror comedy. Director Tom Holland approaches the horror that Chucky creates in a serious way. Chucky doesn’t play around a lot. Holland’s approach to the character of Chucky is another reason why Child’s Play works so well. Chucky’s vicious side is introduced gradually which helps build tension. For the first half of the movie, we never really get a good look at Chucky except as a harmless doll. 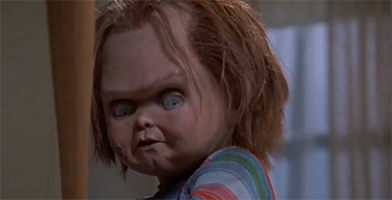 We hear noises, see flashes of movement, and even occasionally see a tiny hand doing something bad, but we never hear Chucky speak or emote in any way except for in the artificial tones of a “Good Guy” doll. Andy insists that Chucky is doing things on his own, and the audience knows that they’re watching a movie about a killer doll, but the buildup to the big reveal of Chucky’s true personality is so well done that when we finally see it, it can be pretty jarring and is completely memorable. Of course, without good acting Chucky could still come across as goofy regardless of the film’s direction, but Brad Dourif is fantastic, infusing Chucky with equal parts rage, delight, and desperation as he seeks to enact his revenge and escape from his new body. In conjunction with the solid direction of the movie as well as practical special effects that stand up very well over time, listening to Chucky scream obscenities while trying to kill someone is sufficiently unnerving. There’s a good reason why Chucky is one of the icons of horror, and Brad Dourif is a huge part of that reason. One of the rare times Brad Dourif is seen on camera. The rest of the cast is great too. Alex Vincent, who plays the young Andy Barclay, is incredibly adorable when he’s fixing breakfast in bed for his mother or when he’s carrying around a doll that’s almost as big as he is. Sometimes children in movies can get annoying, but Andy never does. You really do care about him and feel bad when he’s scared. His mother Karen, played by Catherine Hicks, also does a great job, playing a character who doesn’t really believe what her son is telling her at first, but does everything she can to help him. Chris Sarandon, who plays Detective Harris and had worked with Tom Holland previously on Fright Night (1986), is equally as good. I like how realistically the characters are played, and how realistically they react to the situations they’re put in. I know it sounds odd to talk about realism in a movie like Child’s Play, but that’s really what makes the movie so good. It has realistic characters dealing with an unrealistic situation. It’s not played for laughs or done in the gleefully over-the-top fashion that a lot of slasher movies end up going with. 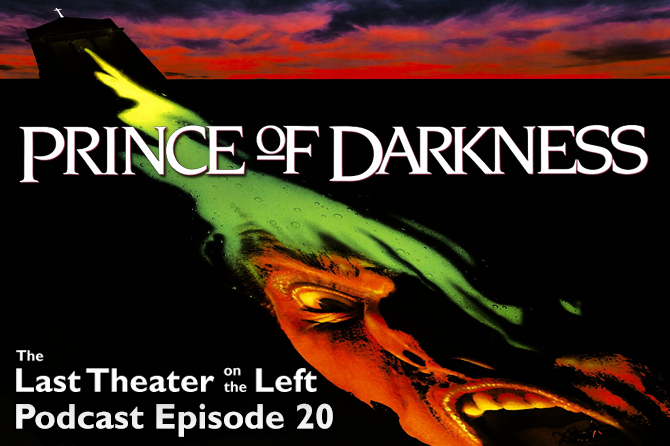 As the Child’s Play series moved on to its sequels the tone would change somewhat, but in this one, the original, the feeling conveyed is one of tension punctuated by moments of energetic horror action. 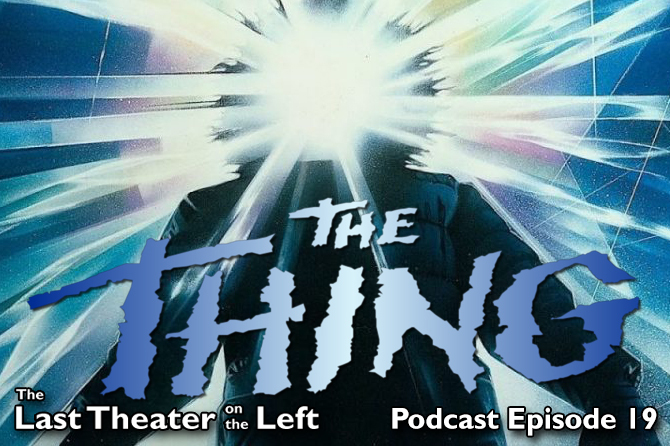 It’s a solid movie that, even with my nostalgia goggles off, stands as a true classic. Every horror fan should watch Child’s Play. It’s easily one of, of not the, best killer doll movie ever made. I actually don’t remember Dolly Dearest too well, but I do remember being scared by the doll. This is another one of those movies that I’ll need to watch again in order to give an informed opinion, but I don’t have hopes that it will stand up to the standard set by Child’s Play. It’s obviously a cash-in on the kill doll craze established by Child’s Play, but cash-ins aren’t always bad. Watch the trailer for Child’s Play.